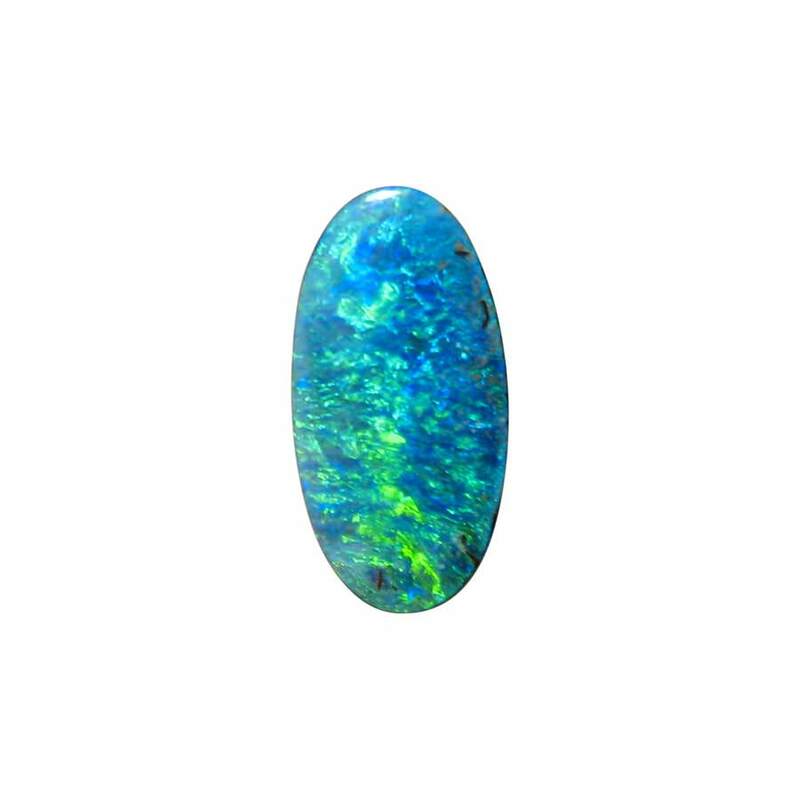 A long oval Boulder Opal stone with very bright Blue and Green ready to set in jewelry. 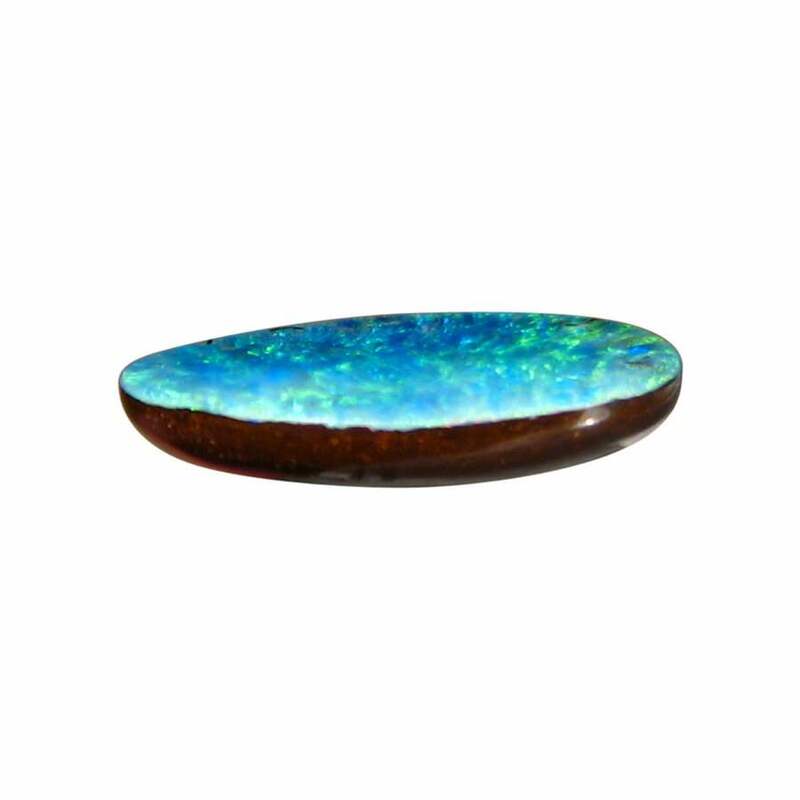 An unset Boulder Opal stone from Winton cut to a long oval with a weight of 6.7 carats. 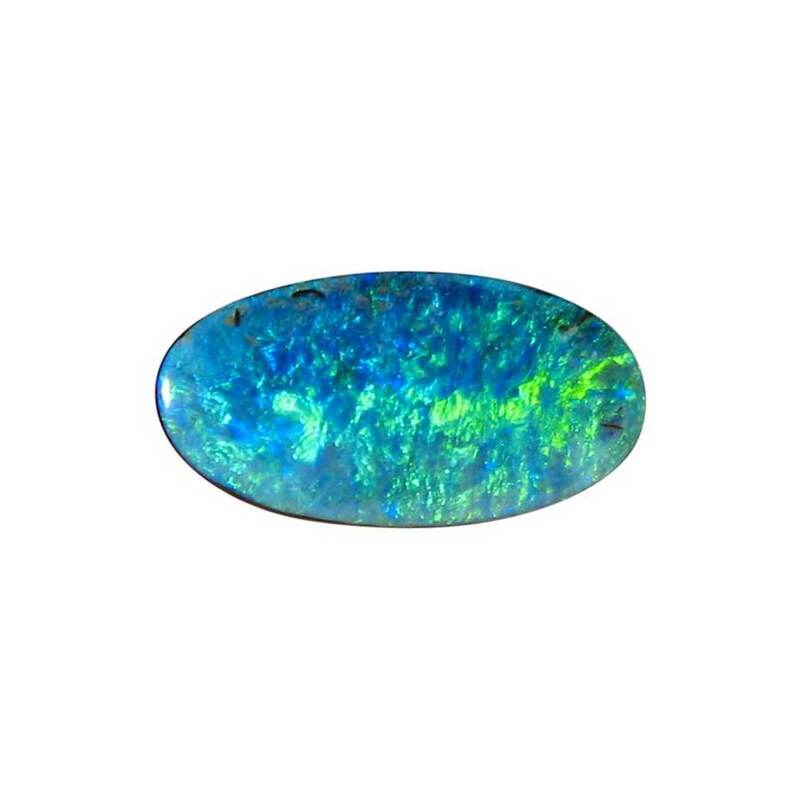 The Opal displays a beautiful mix of bright Blue and Green over the entire face and would be ideal set into a Custom Designed White Gold piece of jewelry to enhance the colors. 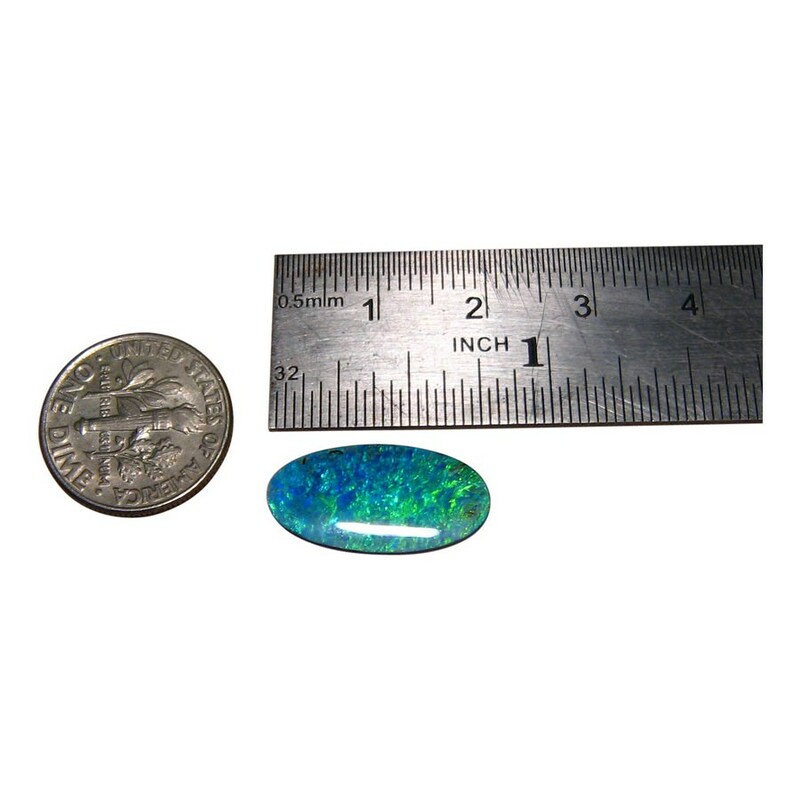 The video below will show the play of color and high polish on the stone. 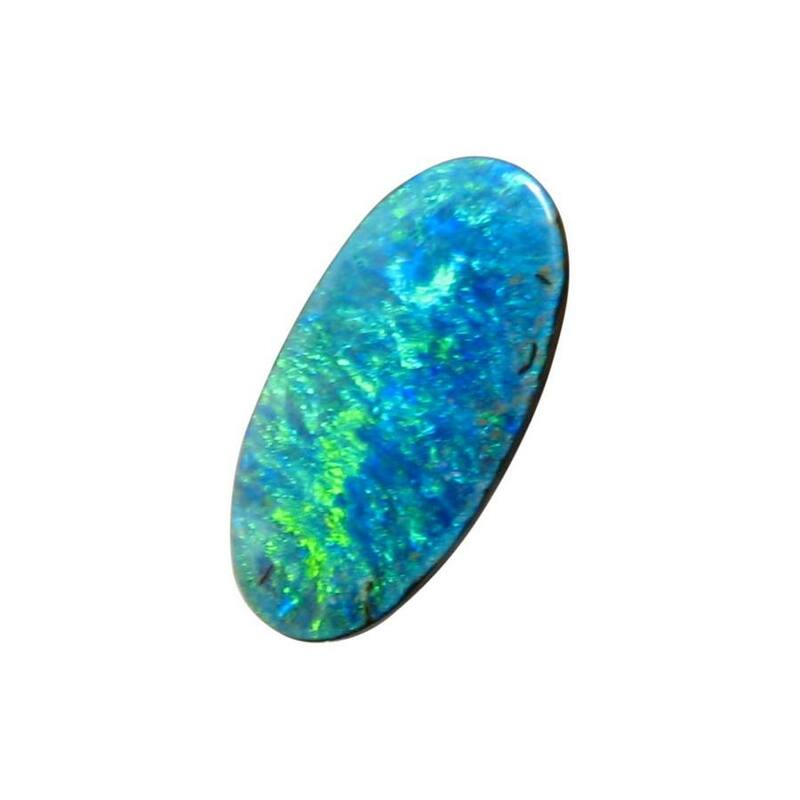 If you would like this Opal mounted in jewelry, contact through this product for assistance and a no obligation price quote. 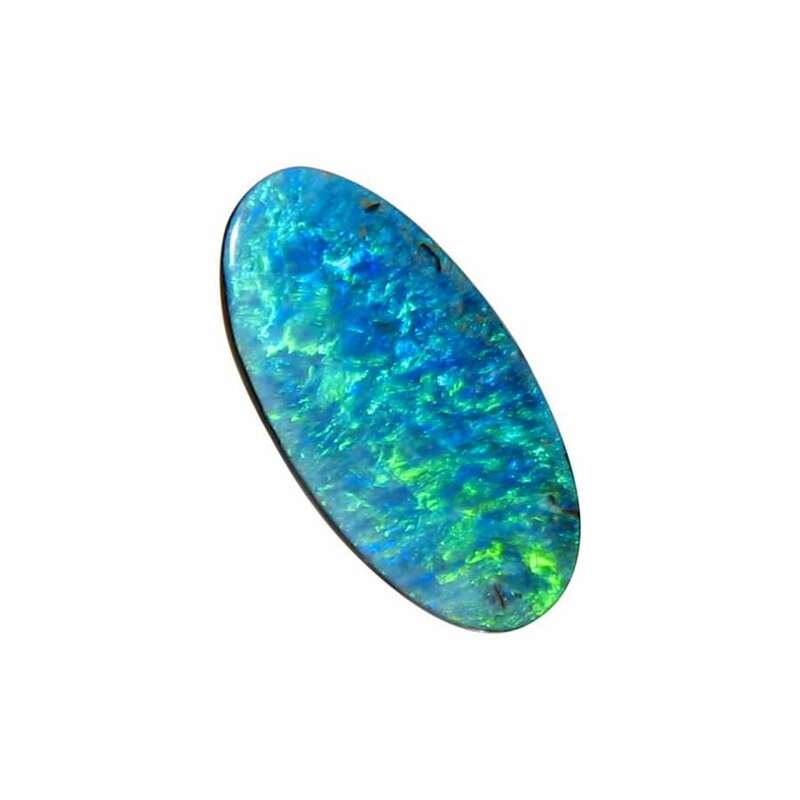 Please allow at least 2 business days for shipping.